Play Reel King Potty online for free now! The tubby king will ensure high spirits: The merry monarchs are back! 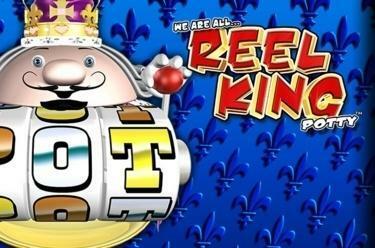 With Reel King Potty you first play on five reels and 20 win lines - once the reels change colour our monarch will delve deep into the private treasury: In addition to the well-known Reel King Feature three sparkling jackpots are also waiting to be cracked by you with Reel King Potty! So spin those reels and grab a royal amount of Twists! 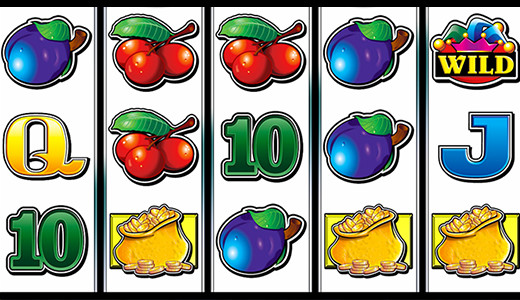 Your aim with Reel King Potty: Land five identical symbols along a win line! All win lines run in different patterns from left to right across the reels. For a line win you have to have a certain number of identical symbols running from the left without interruption on a line. The WILD symbol only appear on reels three, four and five and substitutes for all other symbols. The Reel King Feature starts as soon as you land five yellow reels in a spin. Once triggered, one (or several) window opens in which a Reel King character appears. All Reel Kings turn their reels. Any combination of 3x the ‘7’ wins, and if the diamond is part of the combination, the affected Reel King is disabled. Five red reels trigger the Reel King Potty Feature. Now the Pot King makes his appearance. He also spins his reels, a winning combination is rewarded with either the King Pot, the Gold Pot, the Silver Pot or Bronze Pot.